Charlie Baldwin is also known as the artist Kasket and specialises in raw recordings, live atmosphere, glitched up vocals and catchy melodies. His first release entitled Torn Letters was published with DiaMind records. This was followed by a release called 4her on the highly respected label Screwloose Records. As of recently however, Kasket will be releasing music with the legendary label Apollo Records, which is a sister company of R&S Records. 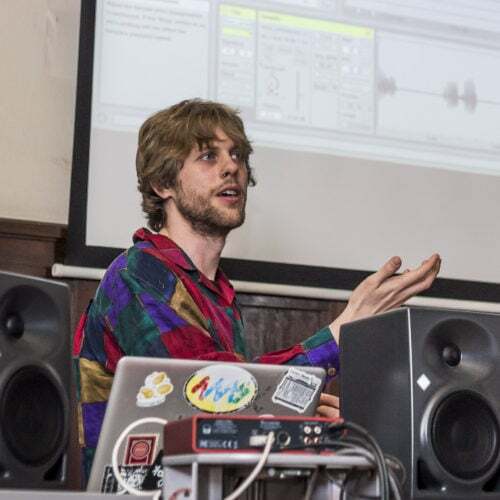 While his music requires an amazing amount of time and commitment, Charlie manages to dedicate all his additional energy to being a tutor here at dBs Berlin Music. When he is not busy working on his latest release, he can be found tutoring for our courses in Electronic Music Production & Performance. Charlie Baldwin also can be seen performing under the name Cocktail Party Effect.